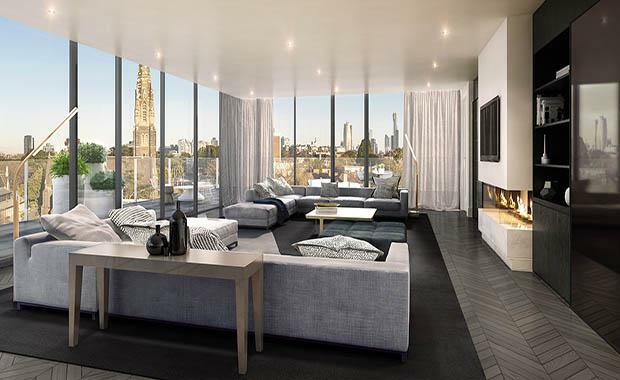 A new residential development in the heart of South Yarra may appeal to first home buyers and millennials alike. Just 3.9 kilometres from Melbourne’s CBD this boutique residential property will offer access to parklands, restaurants, cafes and convenient transport hubs. The six-storey Ralston development embraces South Yarra’s historic architectural context while infusing it with twenty first century style and comfort. “Central to our proposition for this development has been the need to renovate the original fabric while exploring its architectural detail to inform a new architectural statement. Here we have explored the balance between the solidity and transparency,” he said. Ralston features three generously scaled residential configurations. Facing directly onto Caroline Gardens is a series of town residences set over 3 levels with large entertaining roof top terraces. A series of two and three bedroom premium apartments are located above ground level with floor plans from 110 metres square up to 160 square meters, plus large balconies. Two exclusive Penthouses occupy the upper levels with huge terraces and amazing view along Toorak Rd, City and St Kilda Rd Sky line. As one of Melbourne’s most accomplished residential architects Elenberg Fraser Architects have developed an intense interest in facades and the importance it plays both in building comfort and architectural style. “Seeded through South Yarra are buildings with ‘personalities’ based on their form and composition – on their cadence you might say,” Mr Fraser said. “We have been inspired by this. Ralston’s façade ‘accelerates’ as it approaches to the ground. There is more architectural rhythm, scale and detail at street level. "Inspired by Italian loggias the building also features a series of enormous balconies that bring the outside in, providing outdoor lounges and generous entertaining spaces. The four spacious townhouses are complimented with their own separate private entrances and enviable views across the adjacent Caroline Gardens. Mr Fraser concludes,"We are very excited by this project, which is at the forefront of the architectural thinking that is coming out of the practice."